67 New Cadets for the County and a weekend of Fun and Action! The Cadets of B Company Essex ACF have enjoyed our first full training weekend of 2019! Despite the cold feeling in the air, our cadets from B Company travelled to our Training for a weekend full of un team work and training, As part of the Company Training weekend the youngsters took part in activities including a Junior Cadet Instructor’s Cadre, Cadet Radio User’s Course, Skill at Arms Training and Fieldcraft testing. As well as this a whopping 67 new recruits Joined B (Essex Yeomanry) Company. The culmination of their basic training was to be formally welcomed into Essex Army Cadet Force, this happened during Enrolment Ceremony in front of approximately 200 proud family members on Sunday 20th January, at the conclusion of the weekends training. During the Ceremony, Mr Ian Twinley DL and Colonel (Retd) Charles Thomas TD DL , presented the cadets with their Basic Training badges. Both Deputy Lieutenants were impressed by the enthusiasm and commitment of the cadets receiving the badges. 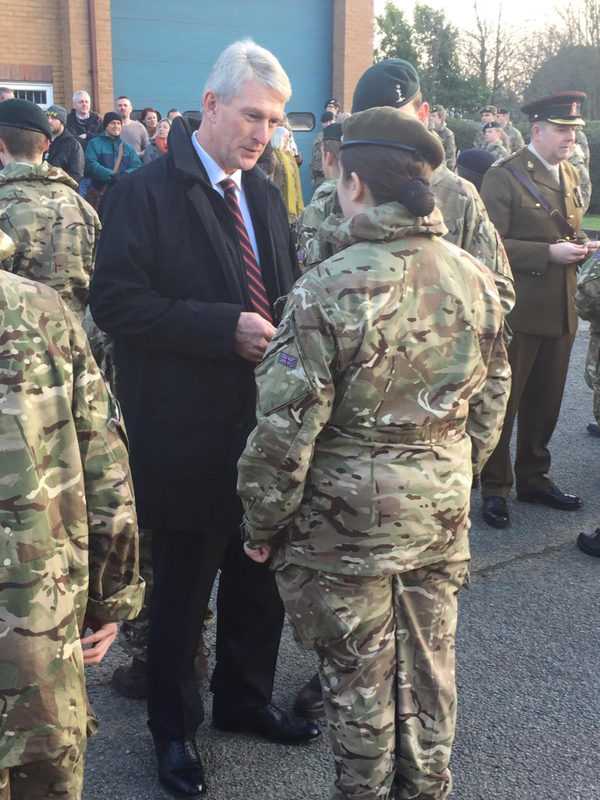 They also made a point to praise the work of the Cadet Force Adult Volunteers who had supported the new Cadets throughout their training, both over the course of the weekend as well as the hard work put in at Detachments where the cadets had been parading, over the last few months. This was just the first weekend of training for 2019 and the Cadets of the other companies can’t wait for their forthcoming kickstart weekends.